James Brehm & Associates has come out with its “Redefining the Connected Conversation: IoT Trends, Challenges & Experiences Survey.” Here’s what they discovered. 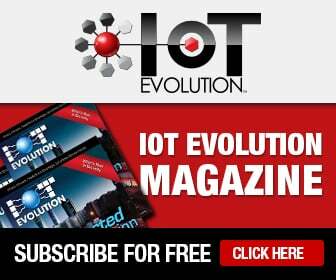 Seventy-three percent of those surveyed said their companies are already actively working on IoT projects, with 61 percent having already developed or deployed such solutions, and 12 percent are working to do so. Meanwhile, 12 percent of those who weighed in are planning to develop or deploy IoT solutions within 12 months, and 4 percent are planning to do so in more than 12 months. Just 10 percent said they have no plans for IoT. Growing the business is the No. 1 reason survey respondents say they are pursuing IoT projects, with 60 percent giving this as their answer. Improving a business process came in second at 24 percent. Reducing costs was the answer for 20 percent of respondents. Regulation and compliance came in at 12 percent, and keeping up with competitors was the answer of 11 percent of those surveyed. Interestingly, however, less than 40 percent of those surveyed said their company has quantifiable metrics and key performance indicators to measure the success of their IoT project(s). For 23 percent, the goal is simply to learn and improve IoT expertise. The bulk of IoT projects (68 percent) being worked on by survey respondents have to do with business-to-business efforts. Thirty-four percent are of a B2B2C nature, while 31 percent of IoT work centers on business-to-consumer initatives, and 19 percent are to improve a business process. Among the most often cited barriers to IoT growth in the survey were security (64 percent), interoperability (51 percent), inability to prove ROI (44 percent), cost (31 percent), hardware integration (27 percent), network connectivity (22 percent), maintenance (16 percent), data storage and analysis (14 percent), and other (14 percent). Speaking of data, 90 percent of those surveyed said data is critical or important to their projects – no real surprise there. But 40 percent said they struggle to contextualize the data to address their business challenges. Perhaps that’s because, as 24 to 29 percent said, these companies lack the resources to properly analyze data. But even for those businesses that do, 23 percent said their businesses don’t act on the data, data analysis takes too long (18 percent) or access to the data isn’t provided in a timely manner (12 percent), data is unstructured and tough to deal with (17 percent), the business doesn’t believe the data (13 percent), the data isn’t reliable (10 percent), or it simply is not useful (8 percent). There are a cornucopia of industries and use cases for IoT, as we all know, and this survey showed that to be true. Health care and industrial monitoring are the two leading use cases (at 45 percent each), at least by those surveyed by James Brehm & Associates. Energy management (39 percent), asset tracking (38 percent), building automation (36 percent), fleet management (36 percent), connected car (35 percent), home automation (34 percent), agriculture (29 percent), smart meters (29 percent), and business security and surveillance (28 percent) were the other leading use cases cited by survey participants. Further down the list were home security and wearables, each at 27 percent; retail, at 24 percent; security and defense, at 22 percent; digital signage, at 21 percent; natural resource monitoring, at 20 percent; vending, at 19 percent; fitness and wellness, at 17 percent; drones, at 15 percent; and usage-based insurance, at 12 percent. Wi-Fi is the most common method of connectivity survey respondents are using, with 74 percent of those who provided feedback saying they leverage it for IoT. Cellular came in second at 69 percent. Bluetooth, at 44 percent; Ethernet, at 41 percent; Zigbee, at 25 percent; LPWA and satellite, each at 19 percent; and other, at 11 percent, were the other options noted in the survey. Cisco Systems is the company that most frequently comes to mind when IoT is the topic at hand, the survey indicates. In fact, 38 percent of those who provided feedback called Cisco the leader in the IoT space. IBM, meanwhile, ranked as a top IoT company on nearly one in three surveys. A quarter of those surveyed rated AT&T, GE, Google, and Intel as top IoT companies. Between 15 and 20 percent rated Amazon, Microsoft, Qualcomm, and Verizon leaders in the space. Jasper and SigFox are seen as industry leaders by 10 to 14 percent of those surveyed. Other companies deemed noteworthy in IoT included Accenture, Alcatel-Lucent, Aeris, Amdocs, Bosch, DT, Ericsson, KORE, Numerex, Oracle, SAP, Siemens, Sprint, and Telefonica, which emerged with less than 10 percent of votes.